We’re a house who love a good game. Some of us prefer long, involved games while others like something short and snappy. These two offerings from Tomy are perfect for my little girls who like games which are easy to set up, simple to play and make them laugh. Tickle Me Feet is hilarious. Everytime we’ve had friends round to play recently this has come out and been a big talking point. Each player takes it in turns to place their feet in the stocks then gets to spin the dial to see what pirate themed challenge they will get. 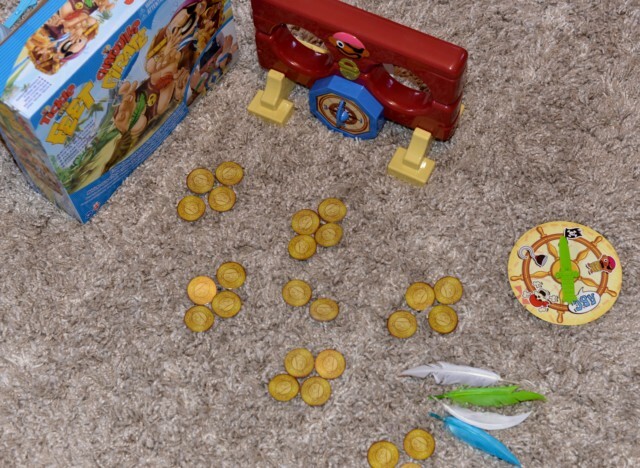 Challenges include saying ABCs in a pirate voice, singing a pirate song or even missing a go. Once a player has their challenge they choose from one of three times and then have to survive their feet being tickled while they complete the challenge. Believe me, it’s harder than it looks. The winning player is the one who manages not to giggle and wins the most gold. Players get more gold if they choose a longer time slot. This is definitely a game to cheer up even the most miserable day and brightened up our damp and bug filled half term no end. 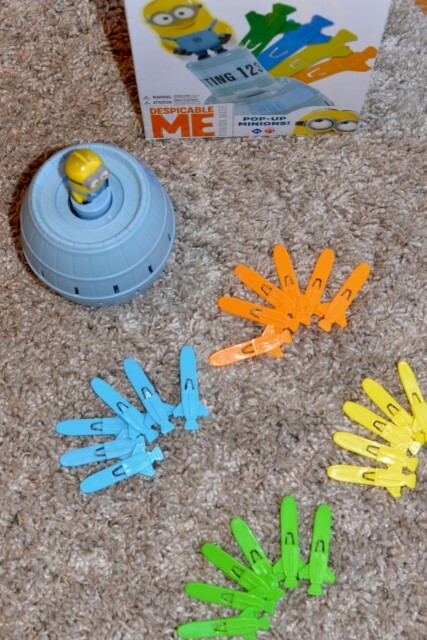 Pop Up Minions is a fun alternative to Pop Up Pirate. 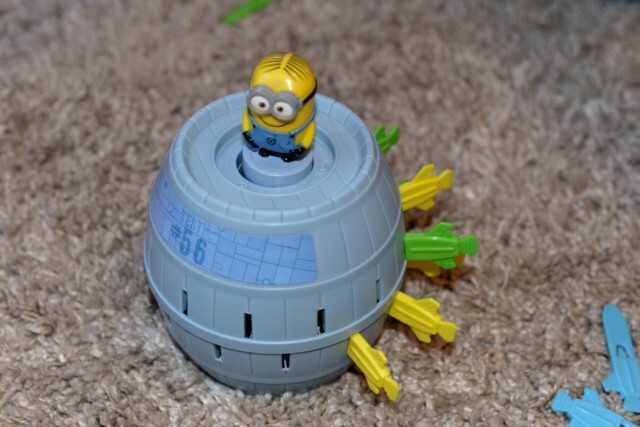 It’s another game that’s quick and easy to set up, simply twist the Minion into his barrel and take turns to slide in the rocket blasters. Will the Minion pop up on your go? We’ve loved testing these fun family games from Tomy and I know we’ll be playing them for many years to come. Thanks to Tomy for sending us these great games to try, next on my list is Screwball Scramble, as I always wanted it as a child and never had it. I’m not sure I could manage to play tickle me feet! Although the pop up Minion game looks so much fun. Ha ha, the feathers are VERY tickly! Both of those games looks brilliant. We have a few Tomy games and I love that they are simple to play but really good fun. Screwball Scramble is my favourite game ever! I have to get that one next! oh yes, we LOVE TOMY!